Yerba Mate (yer-bah mah-tay) is a tea-like infusion that stands out by its nutritional profile, its taste and its way of drinking. The infusion is enjoyed by millions of people every day for its powerful ability to naturally increase concentration, mental clarity and physical endurance. Native to northern Argentina, Paraguay and southern Brazil, mate has its own culture based on the values of friendship and sharing. 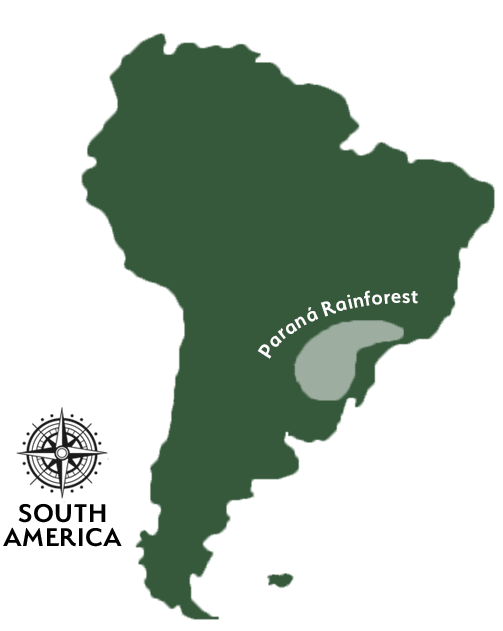 Yerba mate culture dates back to several centuries when the Guaraní people were sharing yerba mate in the Paraná rainforest a long time before Europeans arrival. Considered as a gift from the gods, the infusion gave them strength and courage and was a part of their rituals. Still today, yerba mate means: friendship, sharing, and connection with oneself and others through a very unique ritual that consists of sharing a mate while having a good moment. In Argentina, Paraguay, Uruguay and southern Brazil, mate is consumed equally if not more than coffee. In these countries, this infusion that promotes well-being and a good mood is firmly rooted in the culture. Yerba mate always have been enjoyed through a very unique ritual. The heart of the yerba mate culture is the act of sharing the gourd with friends and family (mate circle). A mate circle is the moment when gathered friends & family share the mate gourd while sharing thoughts, experiences and ideas. In countries where mate is part of the culture, passing the gourd is a meaning of friendship, hospitality and respect. Traditional yerba mate is consumed through a different way that we are used to infuse tea of coffee. In countries where yerba mate is consumed every day, that's the only way that applies. This is known to be the most efficient way the extract the highest amount of nutrients and to feel the full effect of the infusion. The Bombilla is a straw with a filter at the tip. Often made of metal they come in all sizes and shapes and with different types of filters. Originally called mate (little confusing), this name refers to the container in which the yerba is infused. Mate is always used to refering the beverage. So the word gourd is the used word to avoid confusion. Besides the tradional way, yerba mate can be infused in a plenty of ways. From tea infusers, french press to coffee machines, you just have find what fits best for you!